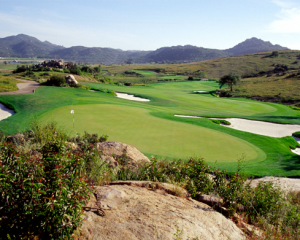 California’s 865 golf courses consume less than 1% of the potable water consumed in the state. If the industry were to disappear tomorrow, Californians wouldn’t notice any difference in the water situation; they would notice the loss of a $13.2 billion industry, and the state’s largest municipalities would notice the loss of revenue streams used to support their park systems. This is not an excuse for inaction; it is however an inconvenient fact for those who would lay disproportionate blame on the golf industry for California’s current water problems. Developing close working relationships with water districts for the purpose of collaborating on additional ways to reduce the game’s water footprint. Because of this “routine,” the industry is poised to meet the challenges and mandates of the current emergency by simply ramping up what is already in place. The industry is poised to do so with minimal impacts upon the integrity and playability of its golf courses, enabling it to continue to provide golfers with optimal playing experiences. And when the current crisis recedes into memory, the industry may take its foot off the conservation accelerator a bit, but it will continue its march toward a future in which tomorrow’s golf courses use less water than they do today, both individually and collectively. Golf is working for the environment in a variety of ways: through water recycling, bio-filtering, water harvesting, plus through naturalization, drought-ready design, and wetland preservation. Continued advancements in technology along with ongoing turf grass research studies keeps golf in the forefront of environmental stewardship. To download a brief environmental fact sheet prepared by the American Society of Golf Course Architects (ASGCA) click here: Download the PDF. In the panic created by Southern California’s recognition of its permanent drought conditions, the Los Angeles City Council passed an Emergency Water Conservation Ordinance in June 2009 mandating immediate compliance with a stringent outdoor irrigation regimen – one restricting irrigating to twice weekly (Monday and Thursday exclusively) and never within the hours of 9:00 AM to 4:00 PM. That mandate applied to all water users, including golf courses. Understanding that compliance with the restrictions could spell the demise of many if not all of the 32 golf courses under the new ordinance’s jurisdiction, the united golf community approached Los Angeles Water & Power (LADWP) with a recommendation that golf courses be permitted an alternate compliance mechanism, one allowing those golf courses achieving demonstrable 20% annual reductions to achieve those reductions while managing their water application in any way they deemed fit. In addition, a united golf community persuaded LADWP of the wisdom of developing a Task Force composed of representatives of the affected golf industry and staff members of LADWP’s Water Conservation Unit, the unit charged with the responsibility of enforcing the Emergency Water Conservation Ordinance. The purpose: To create and sustain an ongoing dialogue between the regulators and the regulated. Opened dialogue on the development of market-based incentives for further water conservation. Craig Kessler is the Director of Governmental Affairs for the Southern California Golf Association (SCGA). He is past chair of both the Los Angeles City Golf Commission and Los Angeles County Golf Advisory Committee, a member of Los Angeles’ Griffith Park Master Plan Working Group and the Ventura Golf Advisory Council. A USGA Committee Member, Kessler is also a working committee member for the California Alliance for Golf (CAG) and a Long Beach Golf Hall of Fame inductee. He is the recipient of the prestigious CGCOA For the Good of the Game Award which recognizes his ongoing commitment to advocacy on behalf of the entire California golf industry. Palm Desert, CA – With access to adequate water increasingly uncertain, leaders from the golf industry, water agencies and government officials gathered at the University of California, Riverside’s Palm Desert Graduate Center for the 2nd Annual Golf & Water Symposium. Experts at the half-day conference shared knowledge and suggested methods to achieve water efficiency as it relates to the business and sport of golf. The Symposium was timely, given recent enactments by California lawmakers to overhaul the state’s water system with mandatory reductions in 2015 and 2020. Both houses have approved the water package and it has been signed by the Governor. It is now up to the voters in California to approve a $10B Water Bond.